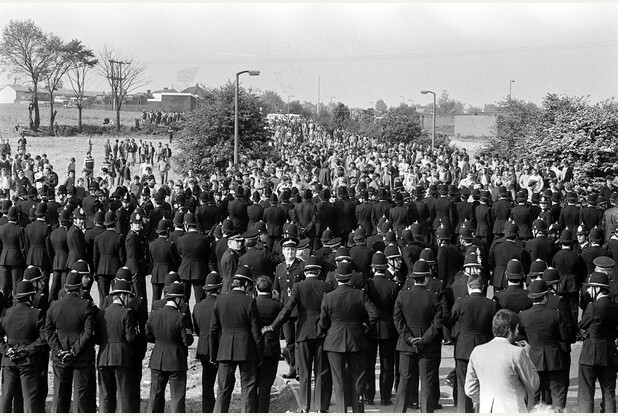 Back in April 1984 the Community and Youth Workers Union [CYWU] to its great credit was one of the first to pledge its support to the Miners’ cause – the defence of their communities. 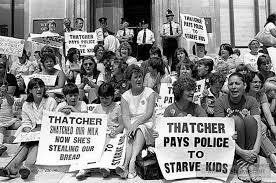 From that moment youth and community workers across the country, not only those from CYWU, threw themselves into the struggle, often being prominent activists in the flourishing network of Miners Support Groups – picketing, demonstrating, collecting food and donations. The defeat of the miners was a bitter blow and its consequences continue to haunt us today, not least, noting Nigel Pimlott’s thoughts from yesterday, the undermining of a belief in solidarity, a commitment to the common good. Thirty years on from the end of the dispute I want to pay tribute once more to the epic battle waged by the men and women of the coalfields. 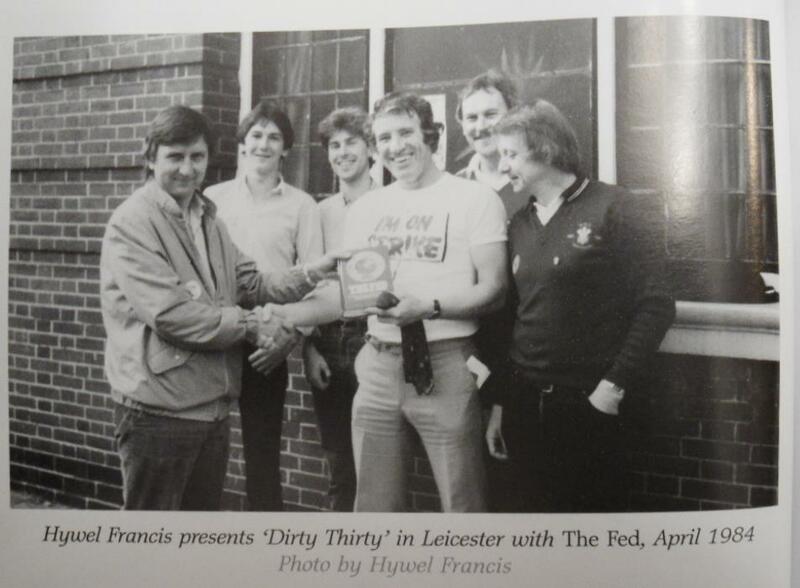 And in doing so I want to remember with a smidgin of pride the part played in both Leicestershire and Derbyshire by the youth and community workers in those areas, not forgetting the students of the then Scraptoft College. In Leicester one abiding memory is of the smoke-strewn upper room of the Unemployed Workers Centre with the late Benny Pinnegar in his pomp, rebuking mildly the sometimes tedious interventions of earnest revolutionaries, whilst making us all feel part of something much bigger than ourselves, ‘an injury to one is an injury to all’. In Derbyshire I finished up as the Bolsover District Community Education Officer and in time my office was to be found in the Shirebrook old school that had been the food distribution centre for the surrounding pit villages. 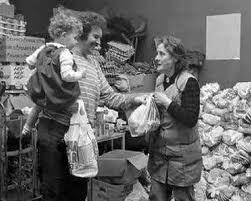 Through the remarkable efforts of the Derbyshire Miners Wives the school was renovated as the Shirebrook Women’s Centre, complete with nursery. Our team of youth and community education workers became affectionately or infamously known as the ‘Bolsover Bucket Bangers’, probably on account of our obstinate refusal to do as we were told.. I’ve desisted from mentioning names, even though I’d like to, for fear of forgetting folk, but I’ll make one exception in the case of Cliff Williams, at the time the worker at the Pinxton Youth Club. A former miner himself, a Clay Cross rebel councillor and local historian of repute, he was an inspiration to be with, calm yet passionate, a formidable working class intellectual with not the slightest air or grace, loved to pieces by the young people of the district, who knew him. Cliff, if you read this, thanks for being there. Lest we forget it is well worth reflecting that this was a time when it was taken for granted that politics and youth work were inextricably interrelated. This remains true today. However, even as workers talk about empowerment and votes at 16, they seem often in denial about the political nature of their relationships with young people. And politics is about much, much more than the ballot box. Times though may be a’changin’.